CCTV design and manufacturing company, 360 Vision Technology, has announced a new mid-level model addition to their highly popular ruggedized camera range. The new ‘Centurion’ PTZ camera system is positioned between 360 Vision’s fully featured ‘Predator’ ruggedized PTZ camera and entry-level ‘Black Hawk’ Dome. Utlising an optimized mix of tried and tested technology from both the Predator and Black Hawk cameras, the new Centurion camera offers a level of performance perfectly suited for any mid-level surveillance application; such as town centres, warehousing, retail, car parks, transportation or commercial premises. Using the same ruggedized housing technology as Predator, Centurion has been designed to resist the harshest of weather conditions, to deliver reliable 24/7 service. Combined with a robust direct-drive gearbox (i.e. there are no belt-drive derived problems to contend with), Centurion provides users with reliable, smooth and highly accurate camera control. 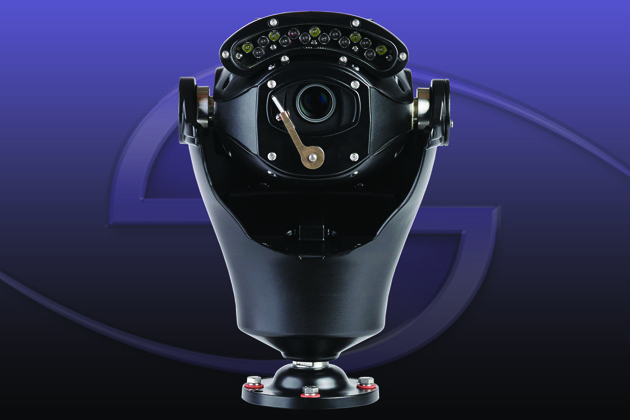 Supporting a wide-range of applications, Centurion is available in a number of different camera model options. As well as being available in three analogue (18x, 28x and 40x Day/Night) and three IP camera options (30x/1080p, 30x/720p and 20x/1080p Night Vision Ultra 0.45 lux colour), Centurion can also be ordered with an optional ‘Hybrid’ upgrade. This upgrade provides both analogue & HD functionality in the same camera head. The deployment of 360 Vision’s future proof ‘patent pending’ Hybrid technology means that when a traditional surveillance installation moves to HD infrastructure, standard analogue 4:3 images (in HD Quality) can be replaced with Full HD 1080p widescreen images – at the ‘flick of a switch’ and with no additional equipment required. Centurion’s performance is further enhanced with a built-in wiper as standard, and 360 Vision’s fully integrated (patent pending) integrated Infrared and White Light illumination options, to support true 24-hour operation. 100-presets, 4-preset tours and 4-mimic tours are all available as standard, ensuring Centurion’s capabilities are as powerful as its appearance. As with other 360 Vision ruggedized cameras, Centurion is available in any colour and in any quantity, allowing specifiers to perfectly blend or contrast the camera with its surroundings, depending on application requirements. Colours can even be pantone matched, and for harsh environments, there’s an optional 10-year long-lasting marine finish.